A nonfiction book by Kate Harris. As a teenager, Kate Harris realized that the career she most craved — that of a generalist explorer, equal parts swashbuckler and metaphysician, with a flair for basic science and endless slogging — had gone extinct. From what she could tell of the world from small-town Ontario, the likes of Marco Polo and Magellan had mapped the whole earth. So she looked beyond this planet, vowing to become a scientist and go to Mars. 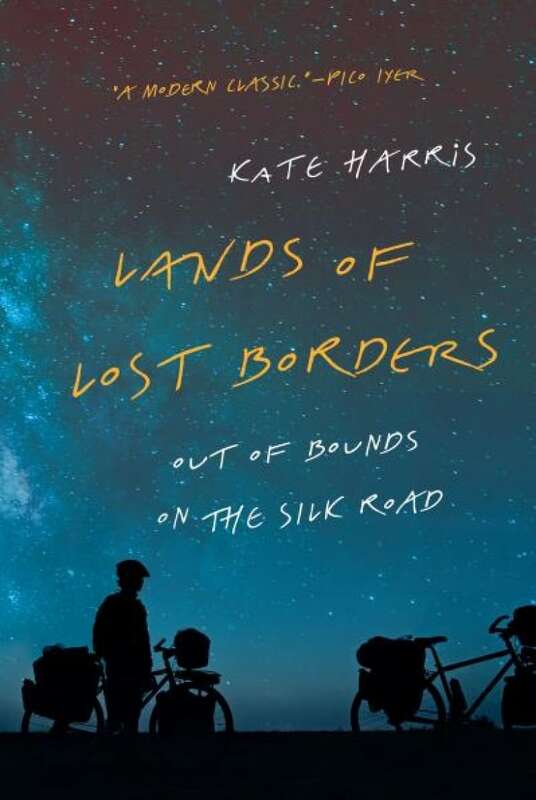 Lands of Lost Borders won the 2019 RBC Taylor Prize. "The initial trip Mel and I did on the Silk Road was just in China and Tibet for four months. We were just wonderstruck the whole time. It was gruelling, but it was just this widening time when we were becoming who we were and discovering what we're capable of. It just felt like soaring and I think we both went back to the Silk Road thinking, 'Let's get back to that place of wonder, possibility and expansion.' Most of the Silk Road wasn't that. It was hard. It was traffic. It was rain. There was a lot of un-redeeming grinding to our days. "I look at this second Silk Road trip and it's where I began to get a more balanced view of the world. Not just the wonder, but the harshness. Not just beauty, but the brokenness of some places and landscapes. A bunch of the Silk Road is paved over in four-lane highways and the cities are big. The brutalities that people are facing in terms of human rights along the way are severe. I wanted to be honest about that. That's the wonder and the horror of the world all laid out. Everything that makes us amazing and awful as a species is there to see on the Silk Road." Read more in Kate Harris's interview with CBC Books. It was three a.m. and moonless. The night air was cool for July and laced with the sweet breath of poplars and willows that grew in slender wands beside the river. No clean divisions between earth and sky, light and dark, just a lush and total blackness. I couldn't see the mountains but I could sense them around me, sharp curses of rock. The kind of country that consists entirely of edges. Sometimes Mel and I drifted blindly into each other, our bulky panniers acting like bumpers. We navigated by the sound of our wheels, a hushed whirring indicating the pavement, a rasp of gravel the road shoulder and the need for a course correction. Travelling by bicycle is a life of simple things taken seriously: hunger, thirst, friendship, the weather, the stutter of the world beneath you. I was so focused on listening to the road that I didn't notice the glint of metal until Mel did. "That's it," she whispered. "The checkpoint." From Lands of Lost Borders by Kate Harris ©2018. Published by Knopf Canada.